Telltale Games hasn't entirely closed up. Although it dismissed hundreds of staff last week, there are still 25 people who have stayed on to fulfill contractual obligations linked to a Minecraft: Story Mode project for Netflix. Other series like The Walking Dead and a potential second season of The Wolf Among Us have reportedly been axed completely. 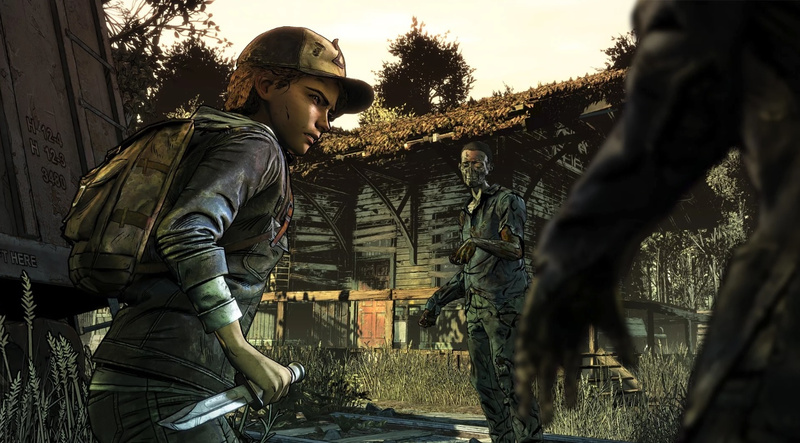 Clem's voice actor yesterday said she - like fans - had no idea what was currently going on behind the scenes and at the time seemingly reconfirmed the latest TWD series would come to an abrupt end at the second episode. Hi everyone, we have a Walking Dead update for you. Multiple potential partners have stepped forward to express interest in helping to see The Final Season through to completion. While we can't make any promises today, we are actively working towards a solution that will allow episodes 3 and 4 to be completed and released in some form. In the meantime, episode 2 will release tomorrow across all platforms as planned. We hope to have answers for your other questions soon. Are you one of the many people hoping to see the final season of The Walking Dead saved? Do you think Telltale will be able to come up with a solution? Tell us in the comments below. I wouldn't be surprised if the bring it out in a graphic novel instead of a game. Oh cool hopefully they can finish it then, they better go all out and make it a worthy swan song. That’s nice. I hope it happens for the fans. I really hope so. I also hope they can bring all the seasons onto the Switch as well, still. Hopefully including the Michonne one, but at this point I wouldn't care too much if not, I just want the main series complete on my Switch. Or just leave the script writing to me! Zombie: "Roar, I'm a zombie!" Shabethica: "Aah, it's a zombie! Run!" Ice Cream Truck: "Hey, you didn't notice me!" Gerturde: "Whoops, sorry! I'd like to buy 15 chocolate ice cream sandwiches please!" Ice Cream Truck: "Ha! You've been diddled! I'm no ordinary ice cream truck! I'm actually a giant zombie!" Mortimer: "Oh no! The only thing that could make this day worse is if the entire universe turned into a zombie and ate itself!" See, I'd do a great job finishing the series! Just hire me now! @Tasuki if so, it should be in the form of a Choose Your Own Adventure! @ReaderRagfish You're fired due to dat idea being so modeling swell, it became hot and your hired light up in flames. Also, hopefully they find a potential partner to throw them a bone, would be a shame if the final season doesn't reach it's conclusion. @ReaderRagfish Sounds more enjoyable than some episodes of the show. @HobbitGamer And then for bad parts, just close your eyes and pretend you're taking a nap. Since everyone loves naps, you'll love that part of the episode! This is great to hear, I haven't played any of the seasons after the first one back on the 360 but I'm glad fans might get to finish the series. For the sake of the fans, I really hope they get a satisfying conclusion. I hate it when a story is left up in the air indefinitely. Not sure if that juice is worth the squeeze, tbh. From what I hear, the quality has gone downhill, severely, and their one trick pony show loses its luster after playing one or two of their games. No wonder people stopped buying them. I'd buy Back to the Future if they released it on Switch, but aside from that I don't really think I'm interested. Probably grab season 1 of walking dead. I hear that's a masterpiece also. But all the rest... nah. @JaxonH Season 1 of The Walking Dead is indeed a masterpiece. It is a really great game and I recommend it to anyone. Season 2 was just barely OK... Besides that, I've never played any of the other seasons, not even any of their other games, so I can't comment on their quality. 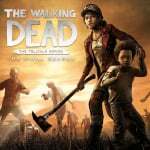 @maruse @JaxonH The first season of Walking Dead is astounding, as was Wolf Among Us. I will disagree with maruse and say that while Season 2 of Walking Dead is not as strong as the first, it is still incredibly enjoyable. A lot of the rest of their stuff is pretty hit or miss apparently. Game of Thrones is pretty crap. I have heard lots of good things about Borderlands from several people. I haven't played enough of their output to know comprehensively. As someone who hasn't played any of the games, after recently seeing part one of the final chapter on YouTube I really hope they are able to finish the series, and that they are able to finish bringing them all to the Switch before the end because I'm interested in picking them up and playing through myself now too. I was pumped for the full Walking Dead on Switch, if there is any hope that will still happen, I want it! Of course they say there's hope, otherwise who the hell would buy the next episode tomorrow? @JaxonH Actually Telltale was starting to improve with Batman S2 (which generally seems to be higher quality than a lot of their recent games, and also has 2 completely different Episodes 5 depending on your choices), and i heard good things about TWD: The Final Season too. So the quality of the games was finally rising, but sadly, this whole mess happened. I hope it does get finished considering they're still selling it. Personally I'd tell them to finish Bone, and THEN they could get a chance to finish The Walking Dead. Considering the franchise started as a series of graphic novels, that would be a welcome solution. Who cares about finishing the series when none of the people who were fired are getting any sort of redundancy pay! Better to let them sink. No one can produce quality work in situation like this... and there will be no one to patch those bugs later. @CTMike My thoughts exactly. I mean, the only reasonable and decent thing about this might be that some folks could potentially get temporarly hired back for this? Like if they could secure funding, they could bring (part of) the TWD team back, I guess. Still, I'm definitely more concerend with the fate of hundreds of hard working, very talented folks than with what happens to TWD. I mean ... come on. I honestly thought all their games did very well. Thes narrative driven games and the Lego games. Guess I didn't have a clue🤔 I really wanted to see TWAU season 2. Great news! I was waiting for the full season to be finished before I bought it anyway. Thank you to whever steps in to help see this series throught to the end. @JaxonH Heck I never even realized they stopped making point and click adventure games! Who gets the money from people buying these? Certainly not the people they laid off. Go kick rocks. lol theyre facing a class action lawsuit for laying everybody off with no severance, i honestly hope every penny they wouldve squeezed out to and for the rest of twd goes to the workers they screwed over. It would be so nice if Nintendo could just buy them up, including all their licenses. I think the cartoonish styled games would be good fit as exclusives for Nintendo Switch. Its so sad we only got the 1st season of TWD, was looking forward to play second and third season next semester on Switch.